Want a quick, tasty side dish that doesn't cost a lot of money? These Baked Sweet Potato Fries are on the healthier side, and the salty-sweet-savory flavor of sweet potato fries just can't be beat. I always order sweet potato fries when we go out to dinner. I love the flavor and feel a little less guilty about eating them than regular fries. I decided I would attempt to make them at home but didn’t want to fry them. That is when this little recipe was born. 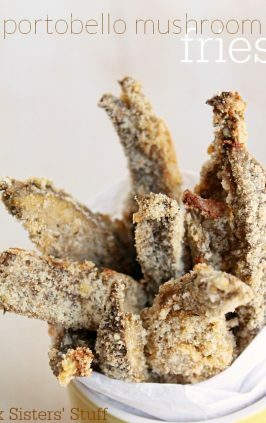 They are nice and crispy on the outside and soft on the inside, making them absolutely delicious. Find the flattest side or create a flat side before you begin cutting. You want your potato to sit as stable as possible before you cut. If you can’t find a flat side on your potato, you can make one really quickly with a vegetable peeler. Use a high-quality, large knife. I’ve tried cutting sweet potatoes with cheap knives I’ve picked up at the grocery store, and it makes life so much harder. Using a higher-quality knife will save you time and (probably) injuries. 😉 We’d recommend these knives or this one. Sharpen your knife before you cut. Even with a high-quality knife, make sure you sharpen it before you cut. You’ll be surprised at the difference it makes. I got this one in a cooking class in college, and I’ve loved it ever since. Keep the temperature high. We cook these at 450 degrees so that they’re more roasted instead of just baked. Keep in mind that some oven run hotter than others – so you may want to check how accurate your oven is using this tool (or if you don’t know, you can periodically check back in on your “fries” to make sure they don’t burn). 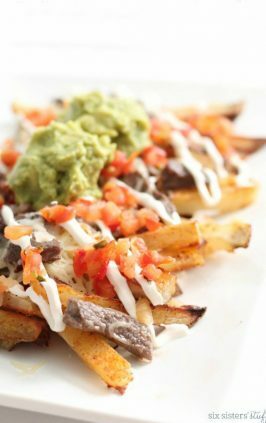 Make sure your fries are in a thin layer (and not touching, if possible). 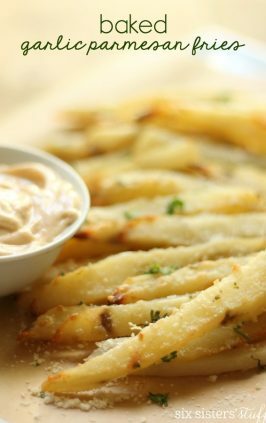 Fries that are stacked too deep, or are all touching, will steam instead of roast, causing your potatoes to be soft. If you need to, split them into two pans. Turn them once during baking. That way, your fries will be more evenly roasted. If you’re worried about your fries sticking to the pan, use parchment paper or line your baking sheet with foil that has been lightly sprayed with cooking spray. Want a quick, tasty side dish that doesn't cost a lot of money? These Baked Sweet Potato Fries are on the healthier side, and the salty-sweet-savory flavor just can't be beat. Preheat oven to 450 degrees. Wash and peel sweet potatoes. Cut sweet potatoes into fry shaped slices. Put sweet potatoes in a large Ziploc bag and add the rest of the ingredients to the bag. Close the bag and shake until all of the sweet potatoes are evenly coated. Pour contents of the bag onto a cookie sheet lined with foil and sprayed with cooking spray. Spread fries out evenly. Bake for 40-45 minutes, flipping halfway through, or until browned on the outside. 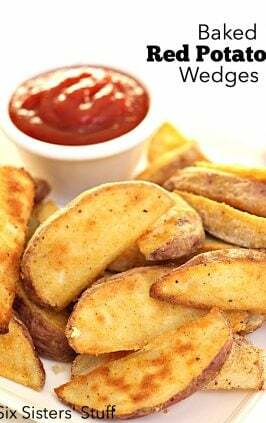 If you're afraid your "fries" may burn when baked, cut them slightly thicker, or check them at 15-minute intervals. Thanks so much for all these recipes. Your meals are amazing!! 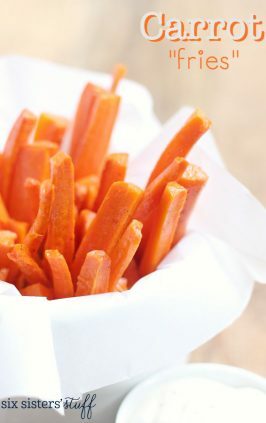 It seems like sweet potato fries are somewhat healthier compare to normal fries. Thanks for sharing. I made these last night and they tasted great, but were mushy and stuck to the foil horribly. Any tips to get them crispy on the outside without burning? Rinse the potatoes and pat dry first before mixing in all the ingredients. 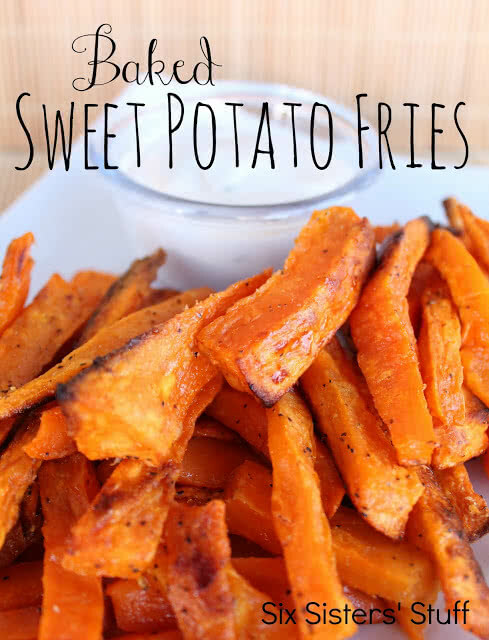 Love sweet potato fries! I buy them in frozen food section regularly. I'm going to try this recipe so I can make them fresh when I want some. I'm sure it's much better... Tks! If I could give this recipe zero stars I would. Normally your recipes turn out great and normally I don't review recipes, but this one was such an abomination that I had to say something. I cut the recipe in half and only used 2 sweet potatoes because it is just my husband and I, but I doubt that is why my potatoes turned out burnt to a crisp. I should have used my better judgment...potato slices baked at 450 degrees for 40-45 minutes, are you kidding me?! After 20 minutes, the potatoes were glued to the pan. After 40 minutes they were burnt to a crisp. Most recipes for whole baked potatoes don't even have you bake them at that high of a temperature for that long. I see this recipe doesn't have many comments, but is very poorly rated. 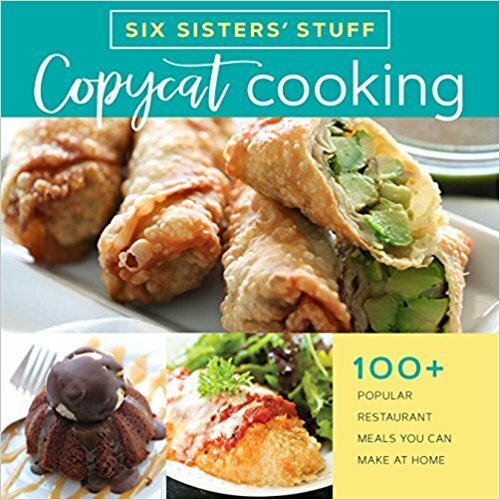 I would appreciate if you could please post some negative reviews or update the recipe so no one else has to waste their potatoes. You have to watch the time. I smelled them baking and it was wondetful after 10 min but i was trying to follow the directions until i smelled my potatoes burning. Too late they were BLACK! But no worries i did a 2nd batch and watched tjem and they were finished in about 10 min. at 450. We made them again today...so addictive. YUM! Okay so I started making these and then read the reviews and got super nervous! But they turned out AMAZING. They were cut thick so maybe that's why they didn't burn. I also made sure to check on them every 15 minutes and turn them often. SOMETHING is WRONG with this recipe - either the temp, time, or both. But we tried it as written and unless you enjoy black fries and a house full of smoke, I suggest you do not do the same. I've read some of the earlier comments, and agree, but when I made them from this recipe, I had already cooked sweet potatoes in several different ways and knew that they are much faster to cook than regular potatoes, so I did them for 12 minutes at 400 degrees and they were fine. But I do find it hard to believe that anyone who had made them before would suggest 40 minutes. Perhaps it was a typo or a momentary brain flip, because your recipes are normally bang on! But I did enjoy them ... Knowing that cooked, they are softer than potatoes means no surprises with the end product. I tried to do this recipe and just couldn't. I bought the raw sweet potatoes from the super market and washed them (as we do in Mexico with fruits and vegetables) and tried to cut them as french fries... but it was SO HARD! The sweet potato is very hard to cut, I don't know if this is like it's supposed to be (and I should buy a bigger / sharper knife) or should I bake them first for them to be easy to cut? Anyway I just put them in the oven now, the whole thing, will try bake them a little and then cut them. Or maybe it is because the sweet potatoes in Mexico are different? Thank you! I made these before reading the comments... then as they were baking I read the comments... which freaked me out since they had already been in for ten minutes!! so I ran and turned down the oven to 400... well, 25 minutes in, they are just soft now. nowhere near done, and no sticking yet. I wish I had left it at 450... the only thing I did different is I used half the salt and about 1/3 of the oil. maybe I'll just broil them a little to crisp them up.